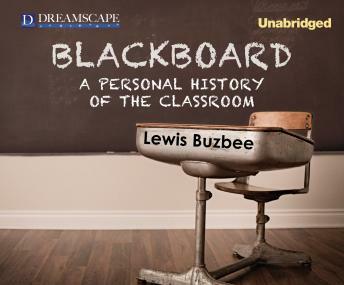 Lewis Buzbee looks back over a lifetime of experiences in schools and classrooms, from kindergarten to college and beyond. He offers fascinating histories of the key ideas informing educational practice over the centuries, which have shaped everything from class size to the layout of desks and chairs. Buzbee deftly weaves his own biography into this overview, approaching his subject as a student, a father, and a teacher. He credits his success to the well-funded California public school system and bemoans the terrible price that state is paying as a result of funding being cut from today's budgets. For Buzbee, the blackboard is a precious window into the wider world, which we ignore at our peril.